The biggest food truck festival is back in town and ready to take a halt again to satiate your hunger pangs. Don't stop yourself from digging into mouth-watering delicacies including chatpati chaat, flavourful dahi-bhallas, signature aloo-chat and more. Foodies, just follow the delicious aroma of Delhi's best tadkas all at one stop! The third version of the festival is bigger and better, with highlights such as 'Flavors of India', 'Delhi 6 Lane', DFTF Haat, Snow Dance, a gaming/experience zone and live performances from bands, music and celebrities. There are also separate gaming zones for kids so you can look forward to a fun family outing. 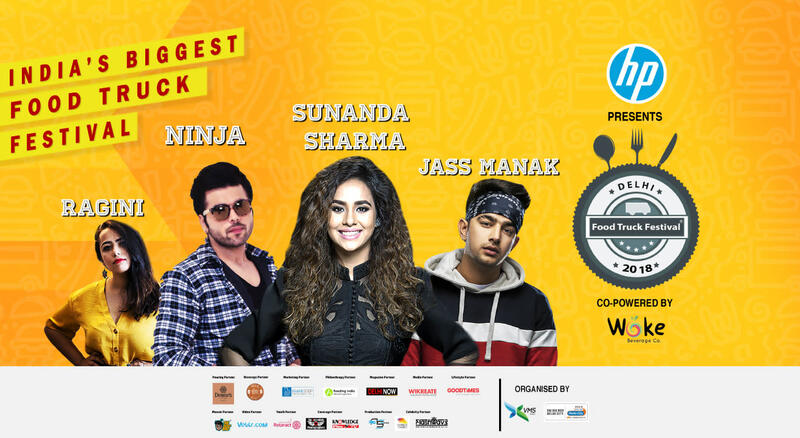 Come experience all that Delhi stands for at Delhi Food Truck Festival!